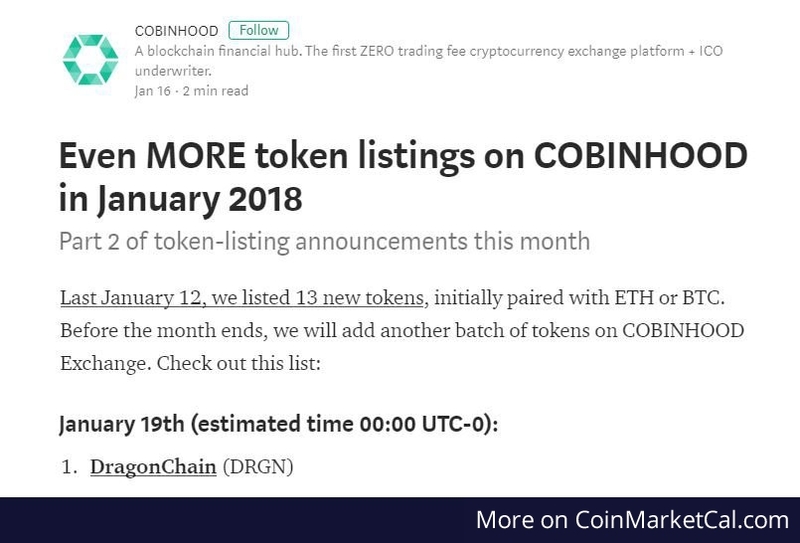 DragonChain as won from the Cobinhood Exchange Vote. Is announced as getting listed in Jan.19 . 2018.